I currently have a Shimano CS-HG200 9 11-34 on my Hybrid. Can I replace it with this? What rear changer should I order to handle this configuration ? Will a Shimano Claris med. cage derailleur work with a 11-32 cassette? We would have thought an 11-32 will be fine. 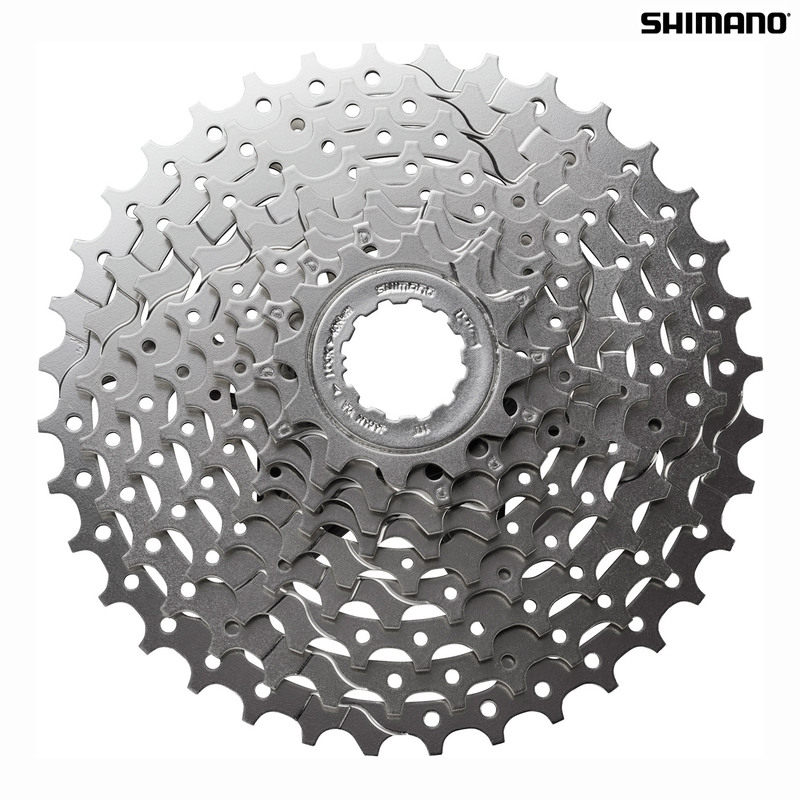 Hi, I've a Shimano HG80/9 cassette, what are the cheaper alternatives from Shimano? Will the 11-32 9 speed work without the 11 sprocket? I have 9 speed levers but only room for 8 sprockets. 12-32 would be good enough gears for me. No, you must use all of the sprockets. Yes the HG-400 is the best option as a replacement. I have read your answer about the 7 biggest sprockets being pinned together, but could I remove the largest sprocket by grinding/drilling the pins? I only have room for 8 sprockets on the old 7 speed cassette body I'm using and I have 9 speed shifters. You could remove the biggest sprocket, but we would not recommend it. I have a 2003 specialized allez which came with a 9 spd shimano setup. Do you know if this cassette will work with it? The fitting and cog spacing will be the same, you will just need to make sure your rear derailleur can cope with the size of cassette you choose, this won't be an issue if you are sticking to the same ratio though. Which would be better cassette for my road bike. the Shimano CS HG 300 or the 400 ? I replaced a Shimano cs HG 50 1132t some while ago on my Dawes super Galaxy tourer with a bigger cassette from yourselves and I'm going to replace now I'm buying some new wheels. There is very little difference between the HG300 and the HG400. The finish is the only thing that separates them and this would only be aesthetically so you would not notice any difference in performance between the two.